Russell, Gelert's Farm, Porthmadog, Sat 29 May 2010 1. 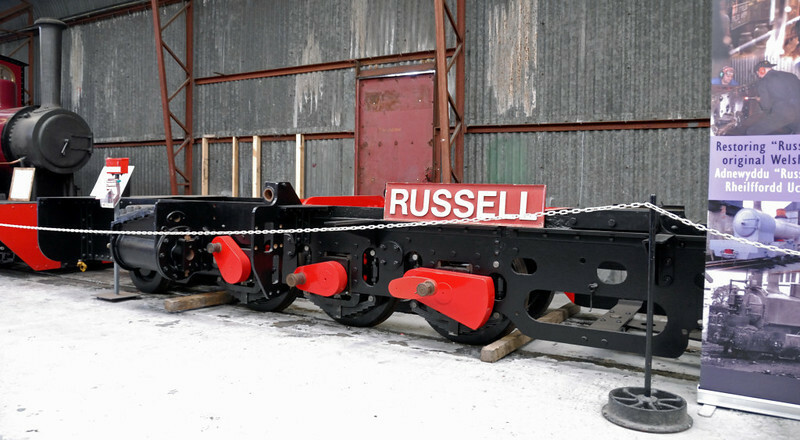 Pride of the WHHR is Russell, the only loco to survive from the original Welsh Highland. The outside framed 2-6-2T was built for the North Wales Narrow Gauge Rlys by Hunslet (901 / 1906).